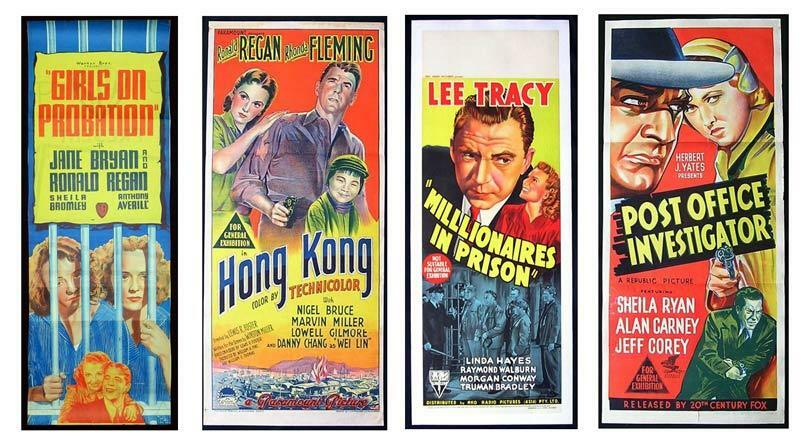 News | Moviemem Original Movie Posters - Australian Movie Poster Misprints and Errors - are they more valuable? Australian Movie Poster Misprints and Errors - are they more valuable? Over the years there have been a number of examples of Australian Movie Poster Misprints. The errors range from spelling mistakes to incorrect artwork or images. A collector recently asked me if errors or misprints increase the value of posters. I think it depends on whether the posters were recalled or not. I have come across a number of Australian Daybills that have spelling errors. Usually the mistakes were either ignored or not noticed at all. However, there are some posters where errors were picked up early in the print run and corrected. There are some great examples of errors that were not picked up. Alfred Hitchcock's Suspicion is a wonderful dayill but there is a glaring spelling error in the name of one of the stars. Dame May Whitty becomes Dame Mary Whittey on the daybill. Interestingly, her real name was actually Mary Whitty but she used the name May Whitty throughout her acting career and she was billed as such in Suspicion. Millionaires in Prison (pictured below), a long Australian Daybill, is a poster with an obvious error but it appears that no one noticed until it had been released and the liklihood is that the posters were not corrected or recalled. Notice the extra "L" in the word Millionaires. The majority of Australian movie posters from this era were hand drawn lithos and it was inevitable that mistakes like this slipped through the net. For some reason, Ronald Reagan has the dubious distinction of having his name misspelled on at least two Australian Daybills. The first is from one of his early films, Girls on Probation (1938) (pictured below), a bad girl/crime/film noir movie. His name was spelt "Regan" on the long Australian Daybill. You would think one error would be enough but poor old Ronald had his name misspelled again in the 1952 Richardson Studio Daybill for Hong Kong (pictured below). Once again, it doesn't look as though the error was picked up until the posters were released to the cinemas. I doubt that the errors would increase the value of the posters although they would certainly have curiosity value to collectors of Ronald Regan (whoops!) Reagan memorabilia. Another poster that was misprinted was the 1949 film Post Office Investigator (pictured below). The incorrect cast was listed and a snipe had to be added with correct details. The Australian Daybill that is pictured is a rare example of the poster without the snipe and showing the incorrect cast. There have been many other posters where the title has changed and snipes have been added. Moving on the the 1970s and John Lamond's Ozploitation movie Pacific Banana (pictured below) shows two spelling error for the actresses. Alyson Best's name is spelt as "Allison" and Helen Hemingway's surname was misspelled as "Hemmingway". It may actually be a film that the actresses would prefer to forget and perhaps they might not have minded if their names had been left off the poster entirely! I have also had Australian lobby cards where Roy Rogers' name has been spelt Rodgers. 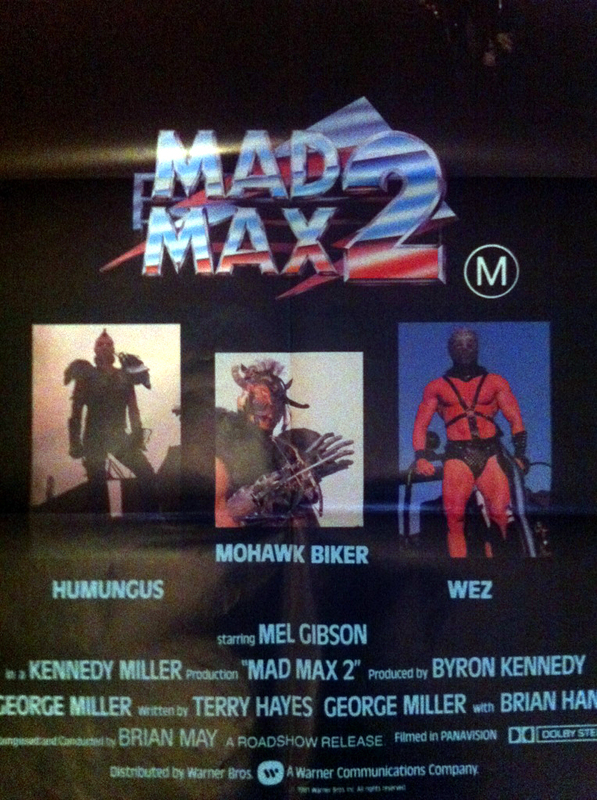 One example where Australian Movie Poster Misprints could possibly increase the value of the poster would be with the withdrawn Mad Max 2 Australian one sheets. The names of the characters were transposed on the first print run and corrected with later print runs. The misprinted posters are quite rare and sought after by collectors. It is often the case that people who have the misprinted posters have no idea of the error. If you know of any other examples of Australian Movie Poster Misprints please let me know.